You can access the Auto Investment function by clicking your name on the top right corner, and select "Setting" from the drop-down menu. After which, select "Auto Investment" from the menu on the left hand side of the page. Click on the green "New" button to add an auto investment preference. Select "Business Term Loan", "Invoice Financing" or "Property-based Secured Loan" from the drop down menu. You will be prompted for your preference of loans to be invested in, which includes the period of tenor and interest rates. You will need to select the industries that you do not want to invest in, and they will be left out of your selection. You will also need to specify the auto-investment range which you are comfortable with. The amounts you can set as your minimum and maximum auto-investment amount will depend on your loyalty tier. 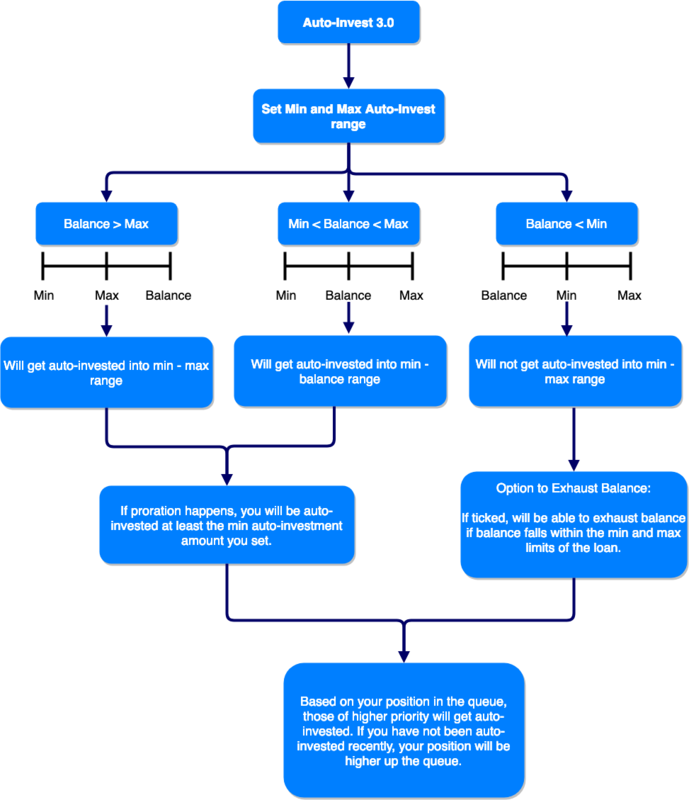 You have the option of enabling your auto-invest bot to exhaust your available balance, if it should ever fall below the specified auto-investment range that you set. However, this will only be possible if your balance also falls within the minimum and maximum investment limits of the loan. Finally, click on the "Save" button and your auto investment preferences will be captured in the system! This allows you to set the maximum percentage of outstanding funds that the Auto Invest Bot will allow in a single borrower. This allows you to set the maximum percentage of outstanding funds that the Auto Invest Bot will allow in a single industry. This sets the minimum age of companies that you wish to be auto-invested into. This sets the minimum credit score of companies' personal guarantors that you are comfortable with, to be auto-invested into the loan. However, if the company only has corporate guarantors, this rating selection will not apply. 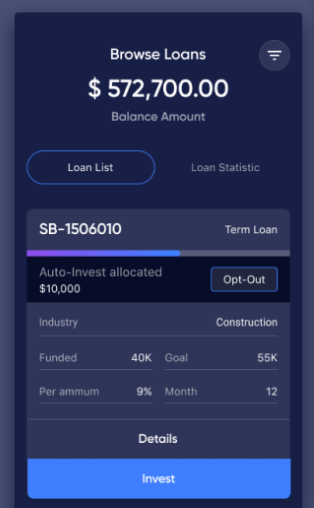 This allows you to specify different brackets of minimum and maximum auto-investment amounts, based on the loan volume. During the pre-crowdfunding round is when you can check if you have been auto-invested into a loan. If you were not auto-invested into the loan, an error message will appear to explain why. Note: Changes made to your auto-investment preferences when any loan is up for Pre-CF will only take effect the next crowdfunding. If you decide to not invest in the loan after reviewing the fact sheet, you can always opt out from the auto-investment! Simply click "Opt-Out" on the loan card. Note: Once you have opted out of your auto-investment, there is no way to reverse it. If you are change your mind and wish to be invested, the only way to re-enter the loan would be to participate in the crowdfunding round. Alternatively, if you wish to top-up your auto-investment, you can do so by participating in the crowdfunding round. Also, if you were not auto-invested, you still have the opportunity to participate in the crowdfunding round as well!